When In Doubt... Pull Down And Out! 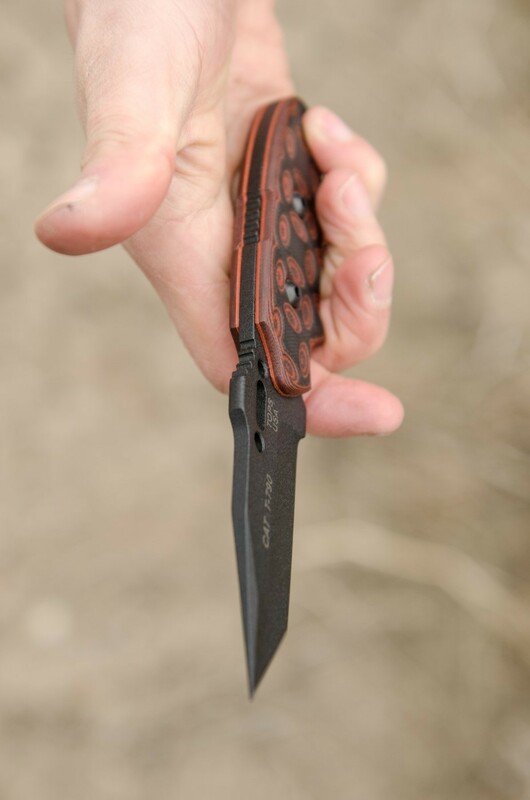 A strong, highly versatile knife carried by law enforcement, military, hunters, and campers. The C.A.T. 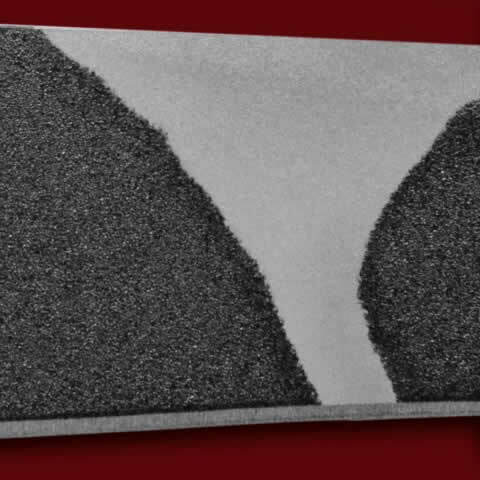 (Covert Anti-Terrorism) series includes some of the earliest models TOPS ever produced, and they have been in service ever since. 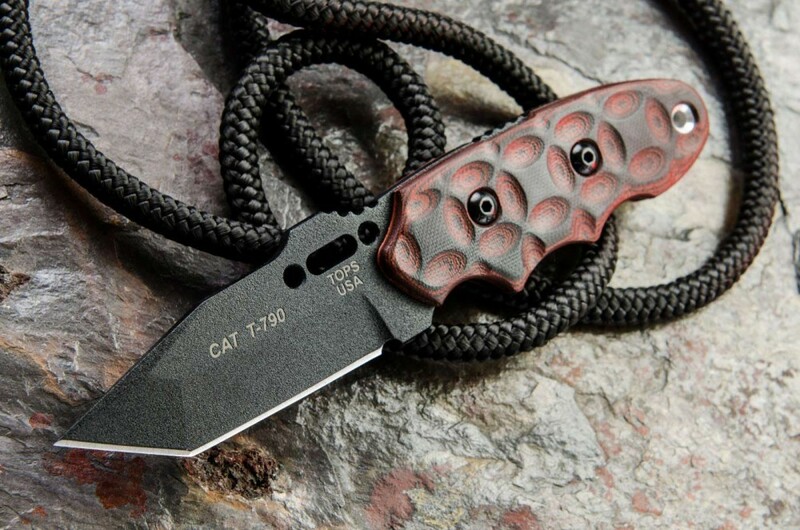 They have been carried by military, law enforcement, hunters, campers, and bushcrafters. This new version includes Red and Black G10 handles with a tread we call Rocky Mountain Bull’s-eye. 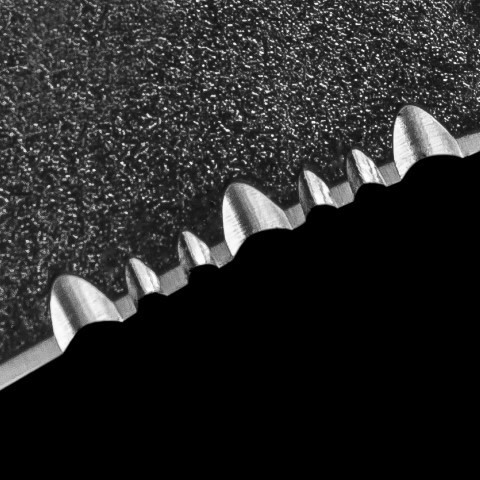 Those grooves improve the grip and the look of the knife, but don't cause hot spots like many other tread patterns. 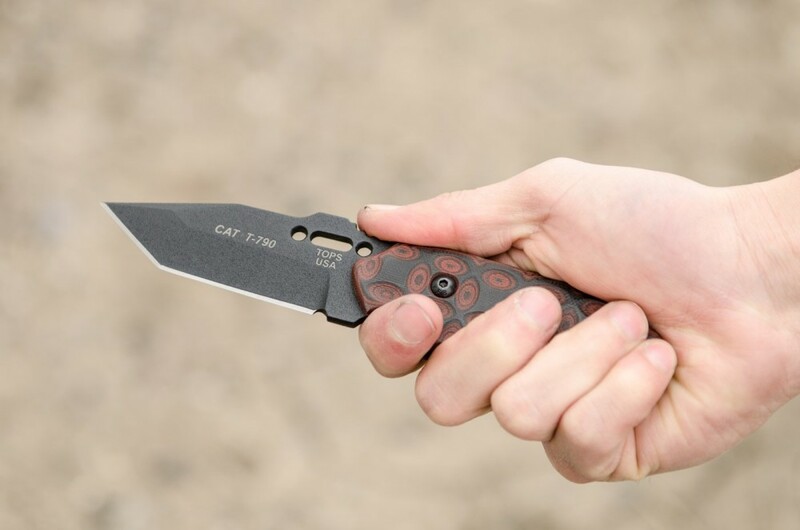 The purpose of the C.A.T.’s was to provide a solid back-up blade that is easy to conceal and could save lives in the right scenario and with proper training. 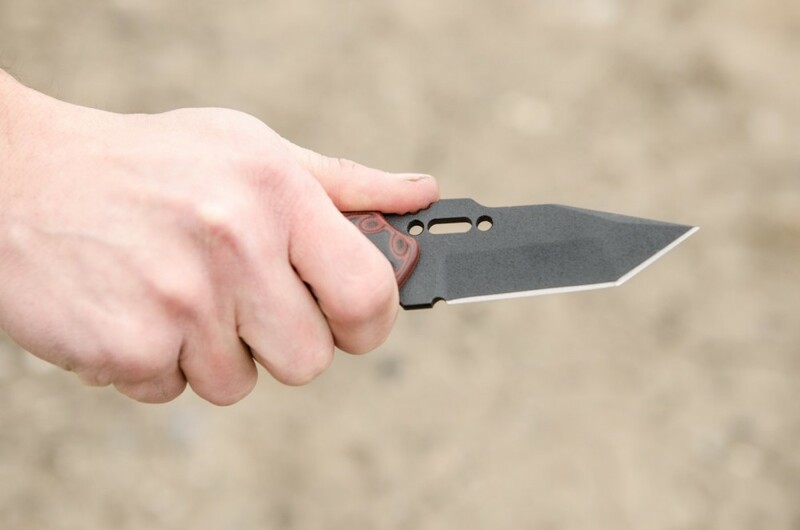 It is a small, strong, highly versatile knife that is easy to use and maintain. 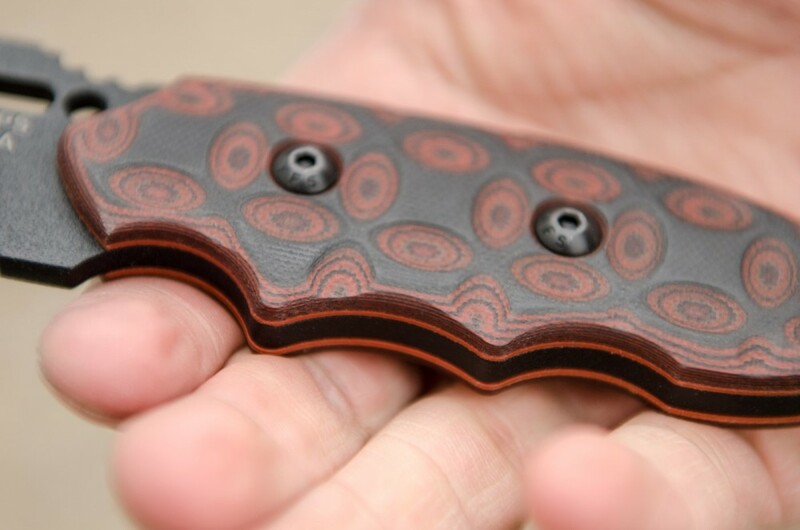 The design allows for good penetration and slashing cuts as well as a multitude of EDC uses. 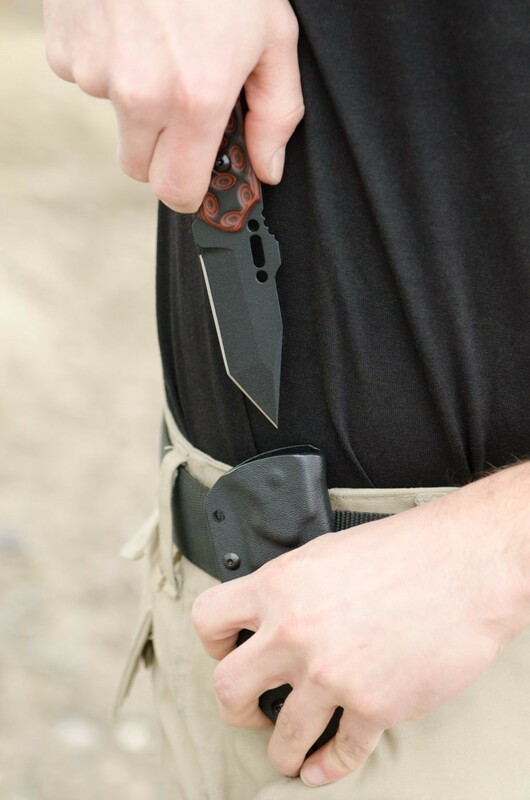 The Kydex sheath helps maintain a low profile and has a rotating clip so it can easily be worn in multiple carry positions. I wanted a small-ish pocket/belt carry knife for EDC and when I work as an EMT. 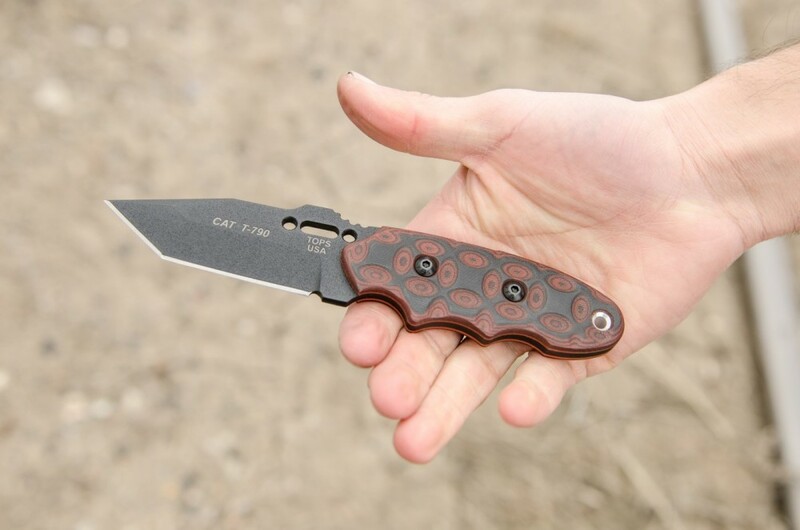 I literally reviewed near 30 or more knives and settled on this C.A.T. 203T-02. I made the right choice. 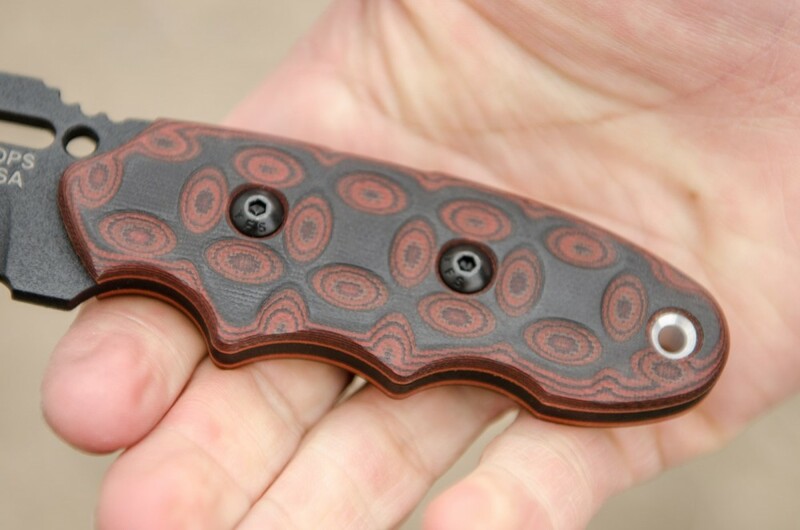 I may be a little biased because my Tex Creek is a favorite of mine, but I know that TOPS produces very high quality knives at reasonable prices. 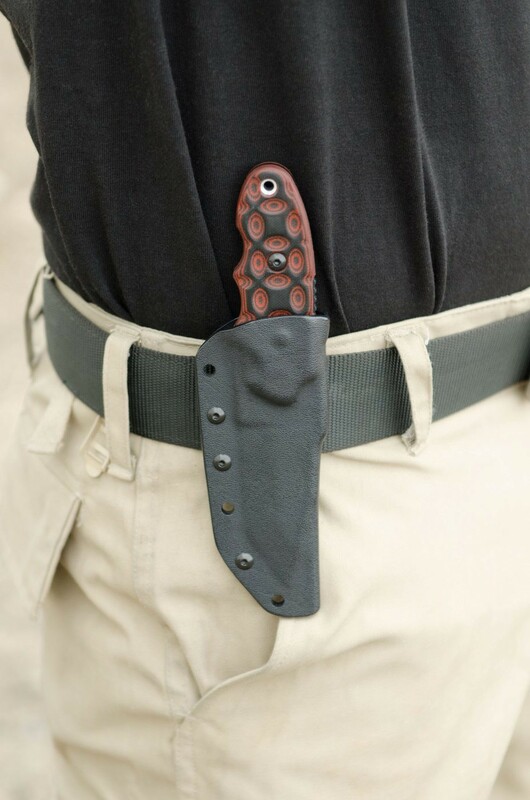 It fits nicely on my belt and with my shirt untucked (as I do in Florida during the summer) it stays concealed. 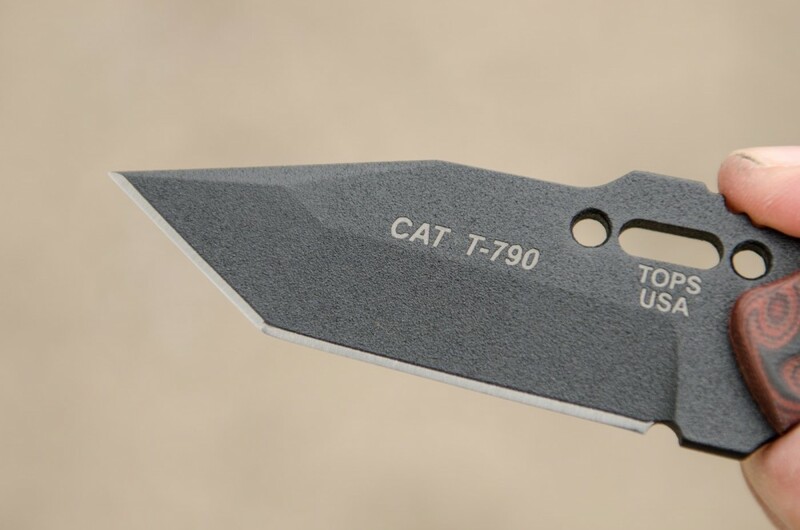 The toughness of the tanto blade is quite amazing and the sharp out-of-the-box blade is no slouch either. It goes thru packaging and cardboard like a laser. I was surprised at how little pressure was needed to do most cutting chores. The "bullseye" micarta handle makes for a nice fit in my hand and doesn't heat up in the summer sun when I use it outside. What can I say? If you're reading my review, you're probably already interested, so go ahead... add it to your cart and buy it today.